NorthStar EMS is committed to quality service. Please provide feedback about your experience with our company. Please answer the questions below by clicking the circle by your response. Use the text box write your own comments. * Please use the box below for comments. Please include the patient name. * How would you rate your satisfaction with the Dispatcher/Call-taker? * How would you rate your satisfaction with the ambulance personnel? 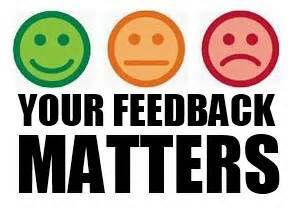 * How would you rate your overall experience with NorthStar EMS? Thank you for taking the time to complete this survey. We appreciate your input to help us improve our services. Copyright 2016 NorthStar EMS. All rights reserved.